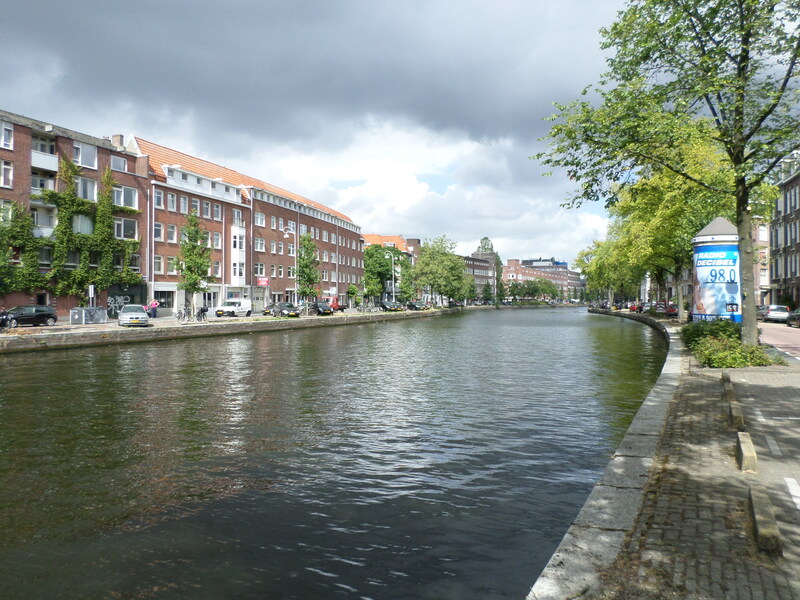 The canal right outside the door to our apartment. 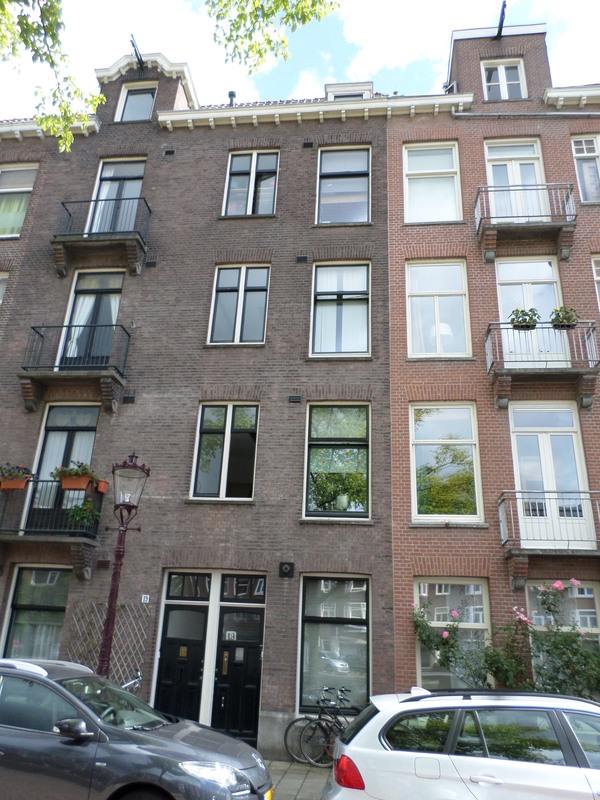 Our apartment is on the top floor of the right-hand door. 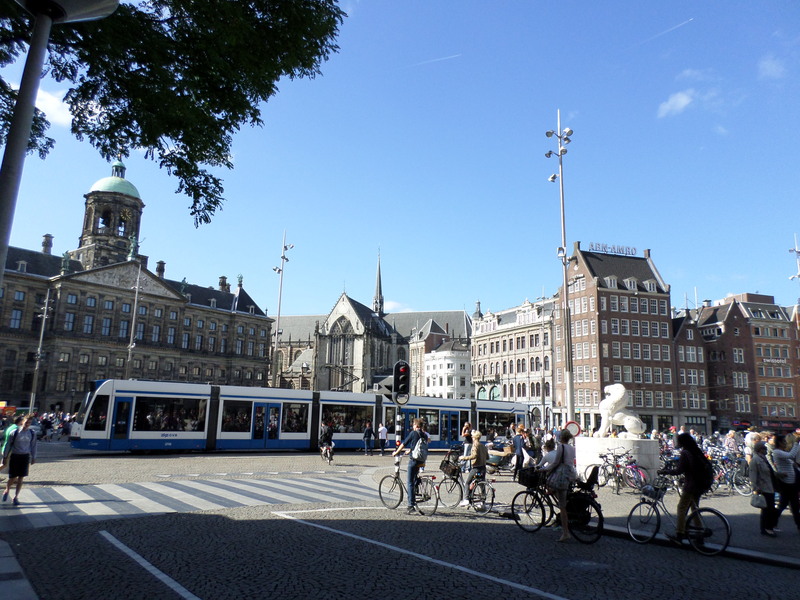 The Royal Palace of Amsterdam in Dam Square. I always like to take pictures of directional signs when I travel. 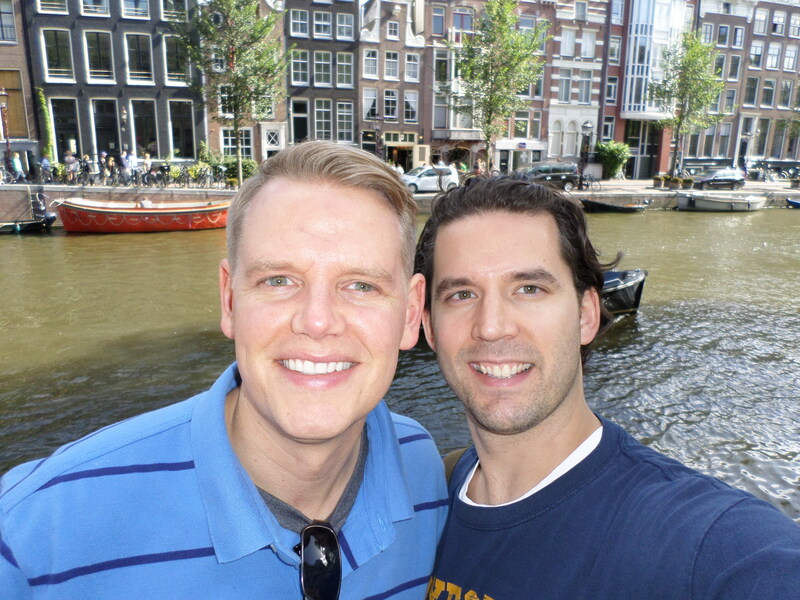 Scott and I walking the streets of Amsterdam on the way to the Red Light District. Now that we’ve gotten a good 11-12 hours of sleep, we’re ready to get out and start doing some stuff (and we’re excited to not be jet-lagged, too). 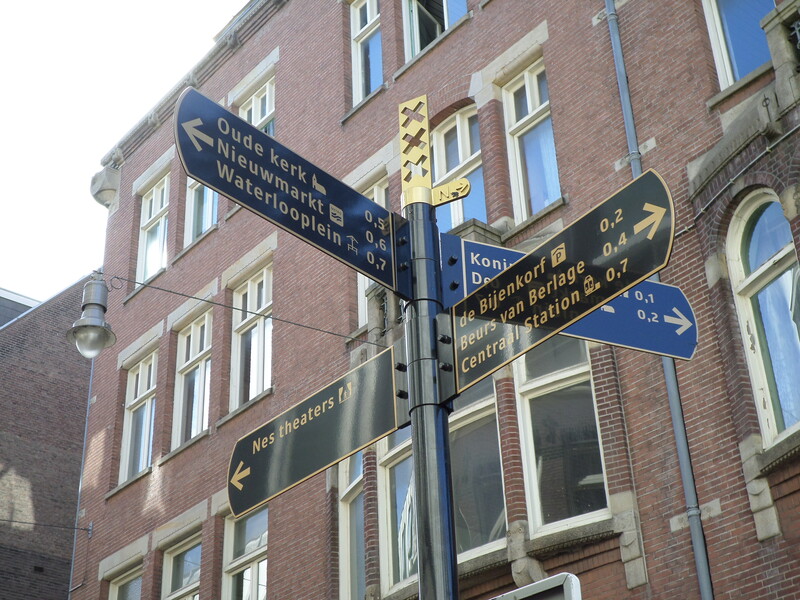 Today’s agenda includes the Van Gogh Museum, a canal cruise, and a visit to the Albert Cuyp Market. Although the weather forecast is calling for clouds, things look pretty nice right now, so hopefully it will stay that way. As always, if you have suggestions on places to visit, restaurants, bars, etc., please comment below! We didn’t pre-book tickets, but we sprung for the I Amsterdam card, which gets us in for free! And that particular museum has a special fast queue for cardholders, so hopefully we won’t have to wait too long! Great pics jeffy! Juice bars are a great way to keep your energy up and keep your body in tune while traveling. Yes, he’s a big juicer! We ended up making just one trip back to Jay’s Juices, but discovered another raw food/juice place by our apartment. Unfortunately, we couldn’t seem to get there when it was open! We may try one more time tomorrow before we head to the station for our train to Bruges.